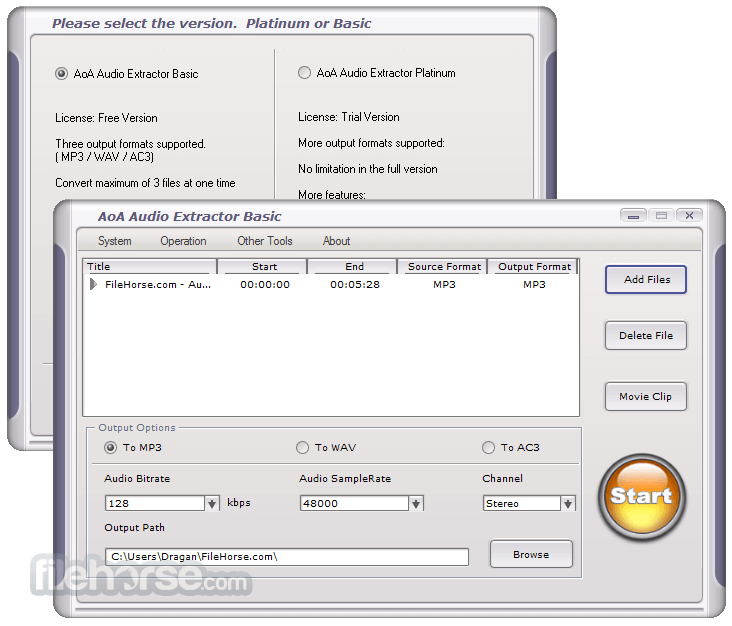 AoA Audio Extractor Free is a totally free audio extractor, which provides you a handy tool to extract audio/sound or background music from videos. With AoA Audio Extractor Free, you can easily extract audio tracks from AVI, MPEG, MPG, FLV (Flash Video), DAT, WMV, MOV, MP4, 3GP video files and save them as MP3, WAV and AC3 formats. It can also be used to save any portion of the audio of a video file.